SPECIAL FEATURES: Looking for a hunting tract close to town or some property and acreage to build your dream home, or even some property to farm? 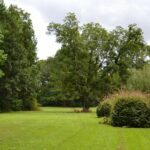 This property is located in Eufaula, AL. Turn off of HWY 431 and go 1.5 miles down Gammage Road then turn right onto Hill Ricks Road where this property has about 1,500 feet of road frontage. 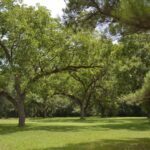 There is about 45 +/- acres of property that has previously been used for row crop land and could easily be converted back. 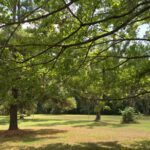 The remainder of the property is composed of hardwoods and creek bottoms with a few wetland areas. Weedon Field Airport adjoins the property to the east. Water and power are readily available so you can choose wherever you would like to build your home. There are no restrictions so it is possible for development. This property has a great mix of game from deer, turkey, ducks, feral pigs, and doves. 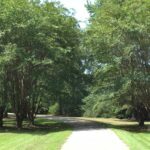 It is located only 5 minutes away from the City of Eufaula, AL so you can have all the conveniences of town while being able to get away to your rural home or be able to sneak in the deer stand just after work. Lake Eufaula is just minutes away and is known for its bass fishing and summer time recreation. Don’t miss your opportunity to own some acreage just outside of town.